Revisiting the past is always interesting and I’ve just spent a week doing just that. And what a joy it has been. Maybe this summer’s sunshine has put an unusual gloss on everything but a sunny week down on the Kent coast has been totally glorious. Great food, wonderful walks, interesting culture, and lots and lots of memories created a potent and unexpected mix that made for a really relaxing and special holiday. And I can’t wait to go back to discover even more. 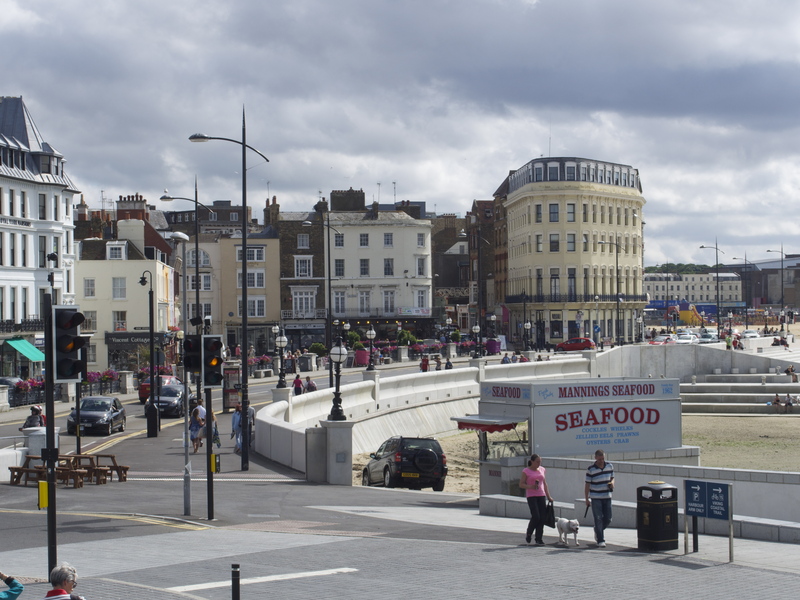 I’m a Kent girl – born in Ramsgate over half a century ago (blimey, it’s a bit frightening writing those words! ), I spent most of my childhood summers and more at my grandfather’s house in Westbrook on the edge of Margate. Now my sister (who was born in Margate itself) has a holiday house in the area, and as a family we are taking full advantage of the opportunity to revisit old haunts and also discover some of the exciting developments happening in the area. What’s really wonderful, after years and years of depressing visits, is to watch the phoenix slowly emerging from the ruins. It’s a slow tortuous process, and as the recent news on seaside sink towns attested, not a straightforward one but I love the place and watching it fight back is very satisfying. So here are a few reasons to go there now in the sunshine, maybe for the Bank Holiday weekend. 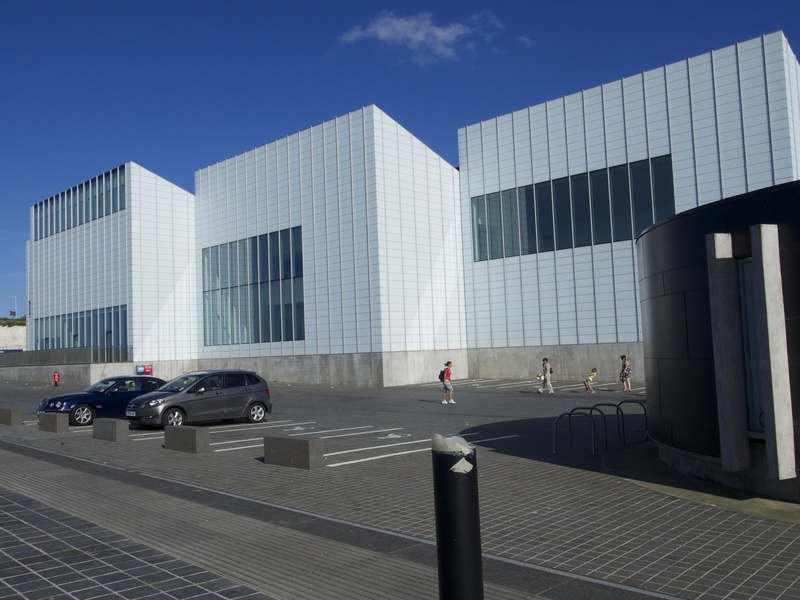 Top of my list, the really wonderful Turner Contemporary Gallery, designed by Stirling Prize winner David Chipperfield Architects. Built on the site where Turner stayed in a boarding house, looking out over the harbour and bay with all the magnificence of those north facing huge skies he loved, it is not only a really satisfying building but has a great cafe serving local food to a high standard (bacon sandwiches and good coffee for breakfast/tea and cake for pm visits!). And since opening in April 2011, it has also hosted some great exhibitions . I thought when I visited the opening show of Turner watercolours and works around the theme of the elements that they would never match the glory of his genius. 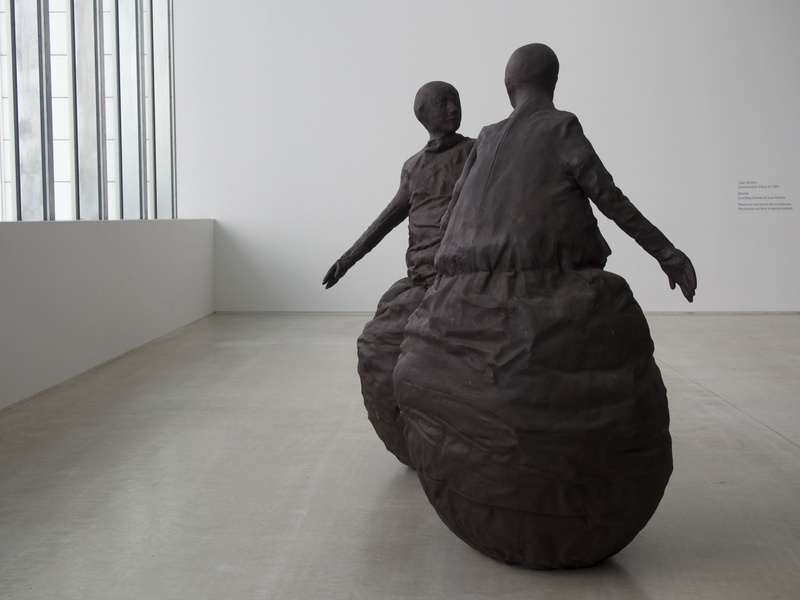 But the current show Curiosity: Art and the Pleasures of Knowing is a fascinating oddity of a totally different nature. Inspired by the great collectors of the 17th century who mixed science and art, ancient and modern, it is an eccentric blend of old and new, that turns the mind inside out and made me question all kinds of things I take for granted. I visited it twice and could go back again, fascinated by everything from the Leonardo sketches to the oddly compulsive taxidermy ‘animal’ at the entrance to the collection of polished mica. The displays made me question my assumptions about what I thought art was, and made me see things afresh – always good for the brain! And the section I would go back to again and again were the Turner bird study watercolours done as a commission for a private catalogue, and completely charming and beautiful in their delicacy. The owl and peacock head stood out but all were worthy of close study. It closes on September 15th and I hope to go back before then. 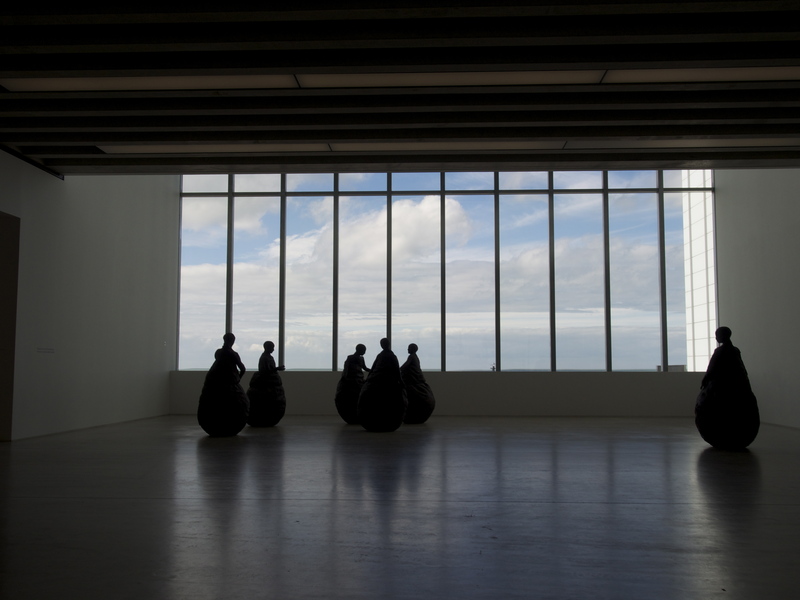 A tip we got from the helpful staff was to go at 4pm when the gallery is at its quietest! 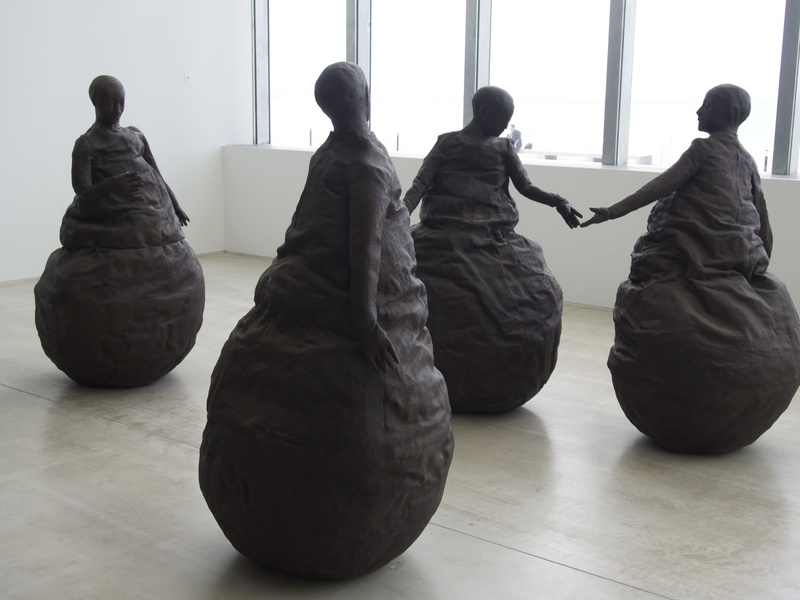 Downstairs from the exhibition in the main lobby is a collection of sculptures that is just as compulsive and fascinating, Conversation Piece: III by Juan Munoz. 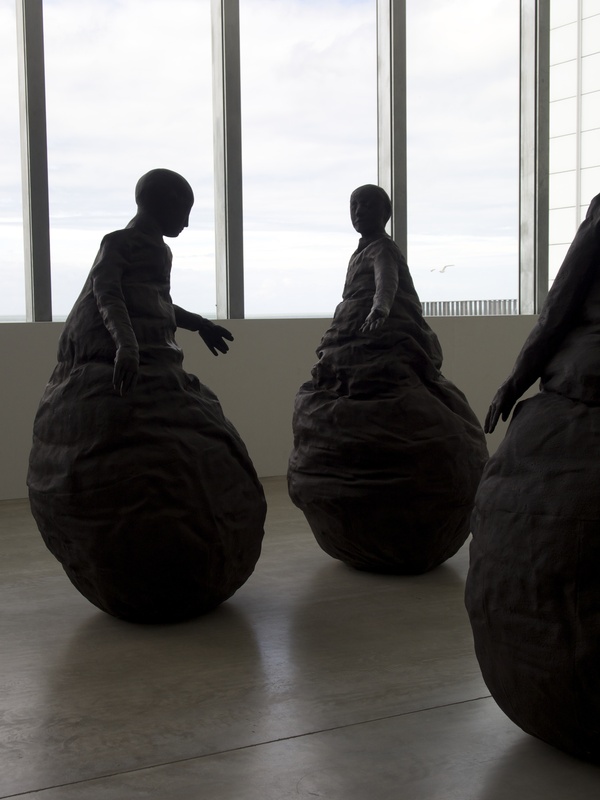 These bronze figures, slightly smaller than life sized and inspired by the court paintings of the Spanish royal family by Velasquez (Las Meninas is one of my favourites), are grouped in front of the huge glass windows looking out over the North Sea. Sinister yet oddly charming, they reminded me of those Dr Who creatures who at first seem benign but the more you look at them the creepier they become. We were sure that they must be like the scary angels who move only when you blink, and the assistants in the gallery confirmed our suspicions by saying that they all thought they moved around when no one was looking, with the group that all stand near one another to the left moving over to chat to the sole figure on the other side of the gallery. I couldn’t resist them and had to keep going back to walk around them and wonder. 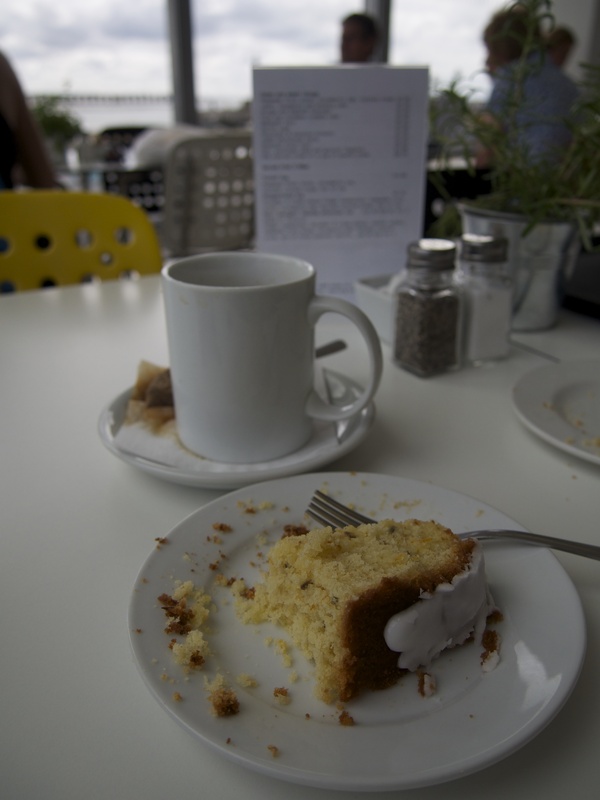 Look out for my next post on the restaurants and pubs I have been delighted to discover in the area. And for memories of some of my family history which I revisited at the Margate Museum – where in 1964, when what is now the museum was the magistrate’s court, my grandfather, local magistrate Dr George Simpson, achieved notoriety for locking up overnight those he termed ‘sawdust caesars’ – mods who had rioted in the town. This entry was posted in Kent, Places and tagged Dr George Simpson, Dr Who, Juan Munoz, local food, Margate, Turner Contemporary. Bookmark the permalink. Dear Shane if you can send me contact details we can chat about what you might need in the way of details about grandfather.